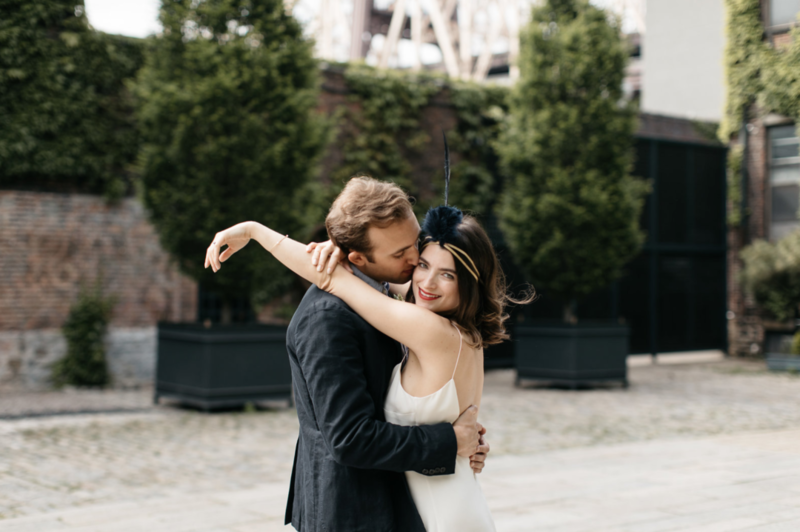 Featured on Junebug Weddings Blog our Brooklyn Elopement Wedding this week! 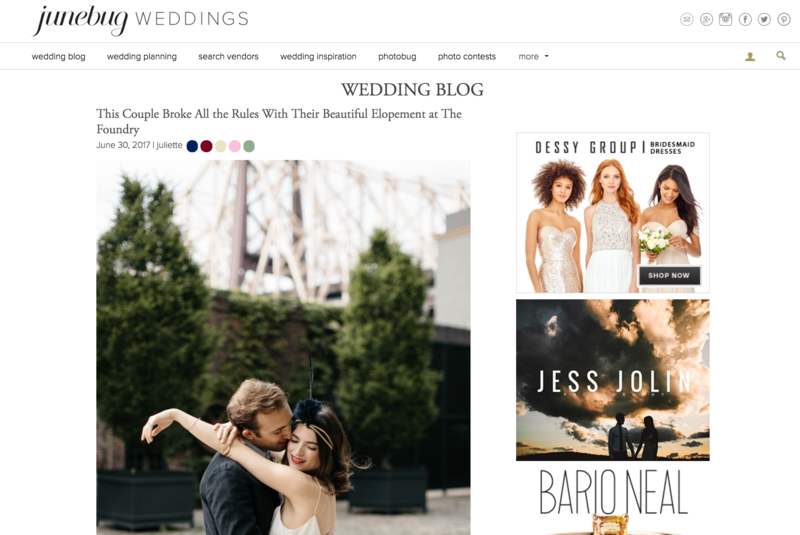 What an honor to have our last Wedding Project published in one of the Top Worldwide Wedding Blogs! (We can’t believe it!) 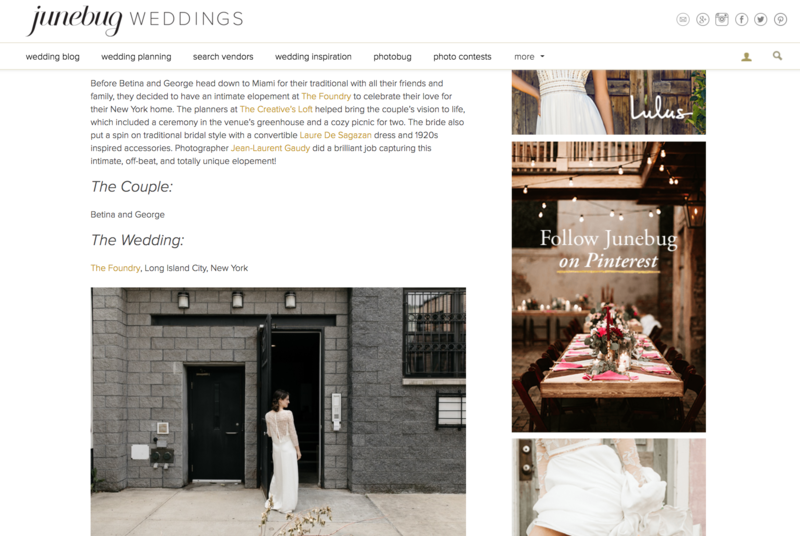 The Creative’s Loft Miami Wedding & Event Planning Studio strives for unique Industrial, Boho, Indie, Scandinavian Weddings. We love crossing the line and coming up with new and fresh ideas. 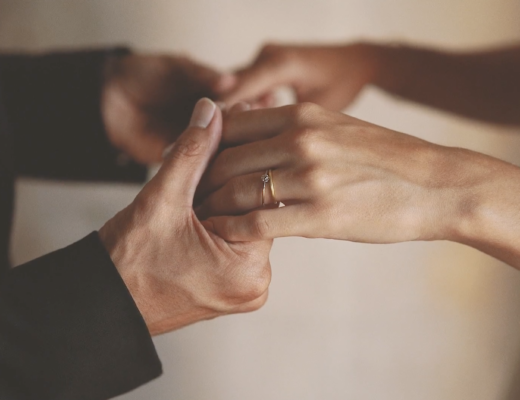 Specially we love it when couples approach to us asking for a Elopement Wedding! 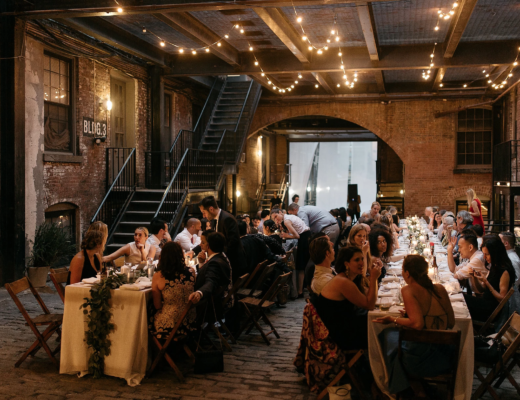 Before Betina and George head down to Miami for their big day at Vizcaya Museum & Gardens with all their friends and family, they decided to have an intimate elopement at The Foundry to celebrate their love for their New York home. 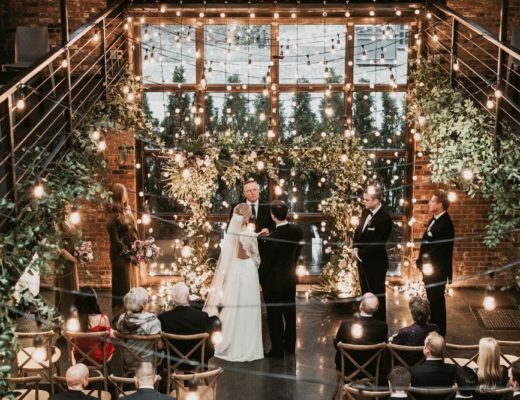 They contacted our Wedding Studio The Creative’s Loft to help them bring their vision to life, which included a ceremony in the venue’s greenhouse and a cozy picnic for two. The bride also put a spin on traditional bridal style with a convertible Laure De Sagazan dress and 1920s inspired accessories. 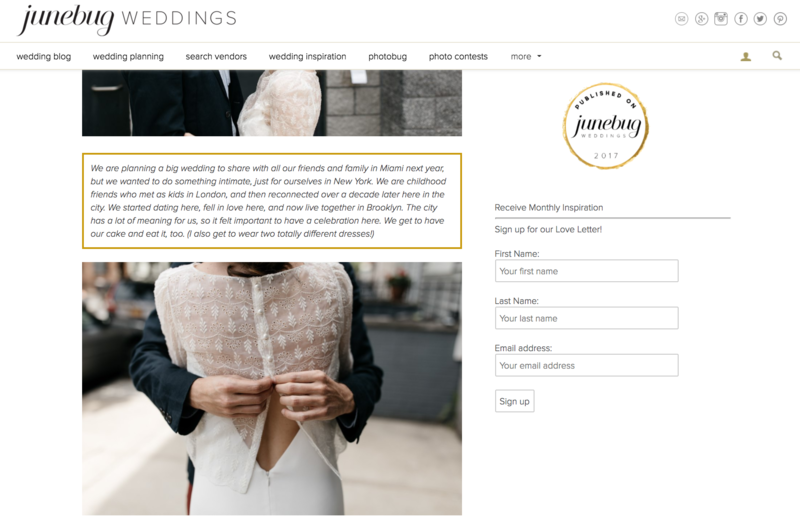 Photographer Jean-Laurent Gaudy did a brilliant job capturing this intimate, off-beat, and totally unique elopement! See the post here!